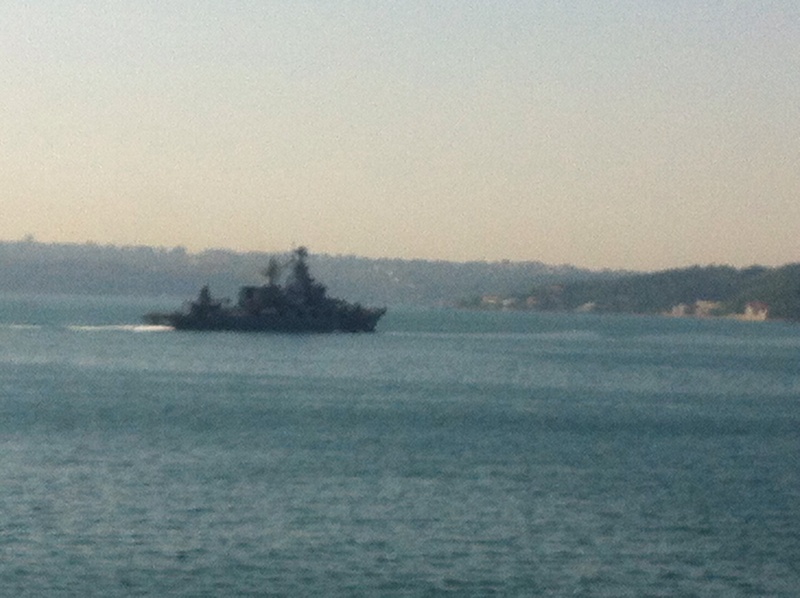 Russian Slava class cruiser Mosvka passing through Bosphorus. Russian Dergach class corvette Samum trailing the two Chinese frigates to the Mediterranean Sea. 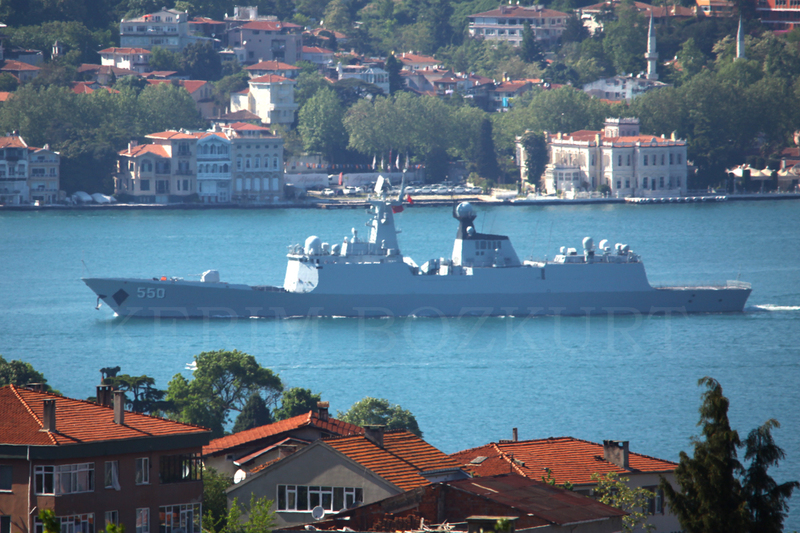 Chinese frigate 550 Weifang, passing through Istanbul. A very nice shot of Weifang passing through Bosphorus. Photo: Yörük Işık. Used with permission. 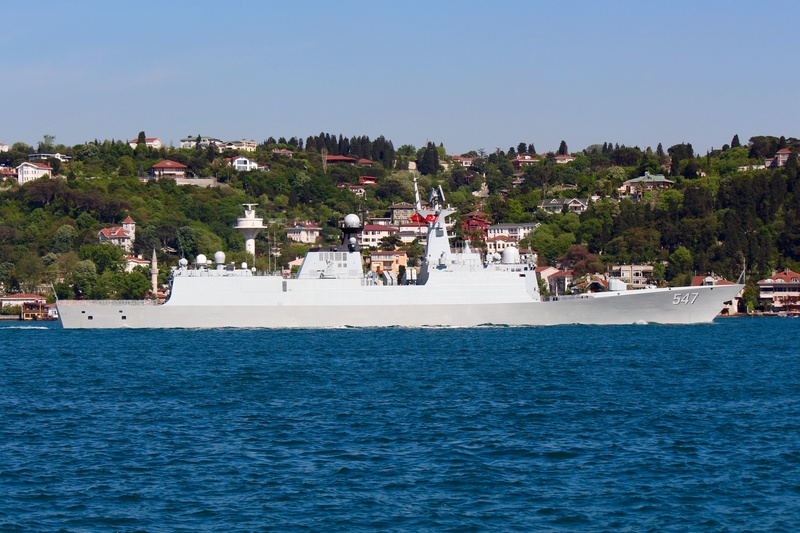 Chinese frigate on her way to the joint Russian – Chinese exercise. Photo: Kerim Bozkurt. Used with permission. 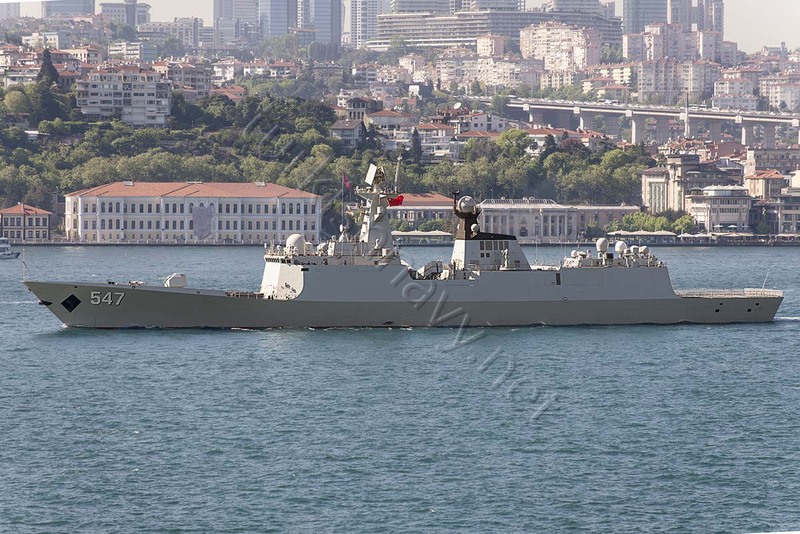 Chinese frigate Linyi, returning to the Mediterranean Sea. 547 Linyi, making her southbound passage through Bosphorus. Photo: Yörük Işık. Used with permission. 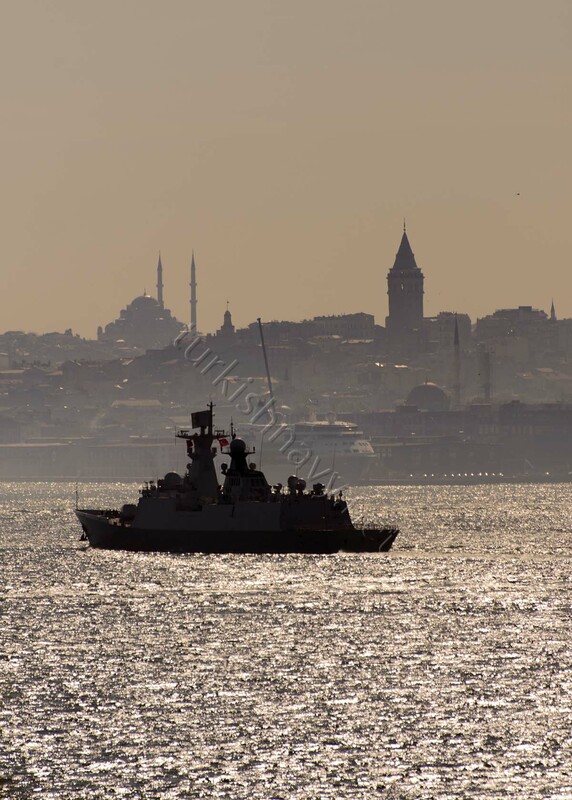 Ropucha class landing ship Azov making a northbound passage through Istanbul. Photo: Yörük Işık. Used with permission. Russian landing ship Novocharkassk, returning to the Black Sea. Photo: Yörük Işık. Used with permission. Last couple of days we had an increased activity here in Istanbul. 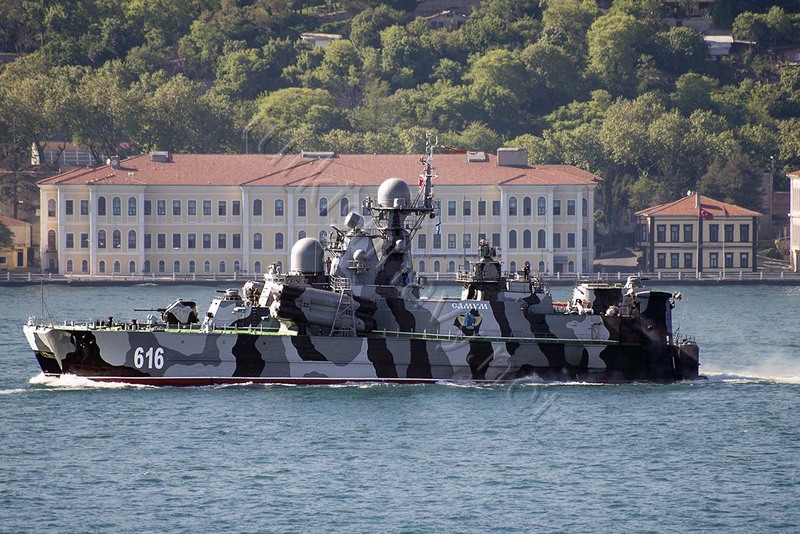 First, on 12 May 2015 the ever-present Russian landing ships Novocharkassk and Azov returned from another Mediterranean trip. 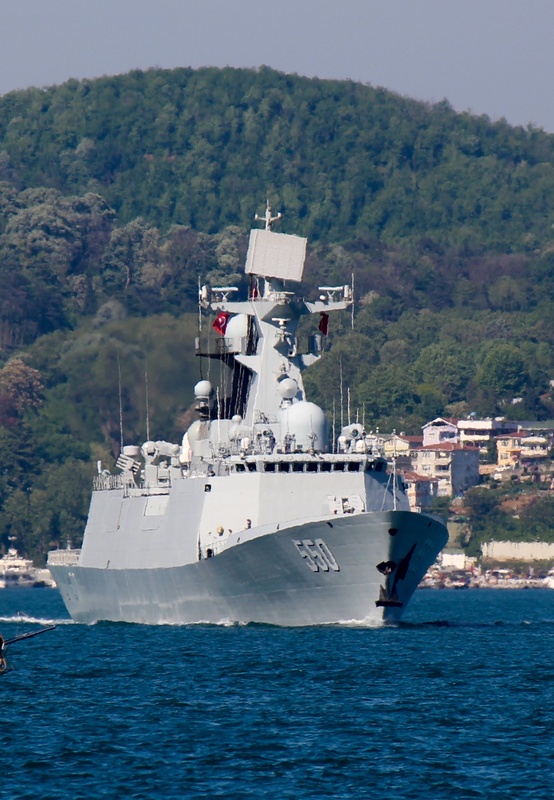 Two days later the much publicized visit of the PLAN ships 550 Weifang and 547 Linyi in the Black Sea has ended. 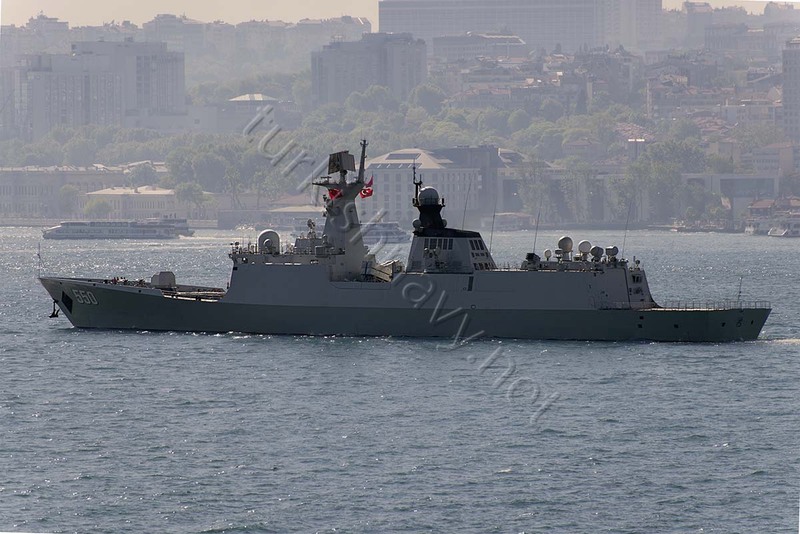 The Jiangkai II (type 054A) class frigates from PLAN North Sea Fleet made their southbound passage with the Russian Dergach (project 1239;) class corvette Samum. One day later the flagship of the Russian Black Sea Fleet, the Slava class cruiser Moskva was deployed to the Mediterranean. Moskva heading to Severodvinsk for refit.